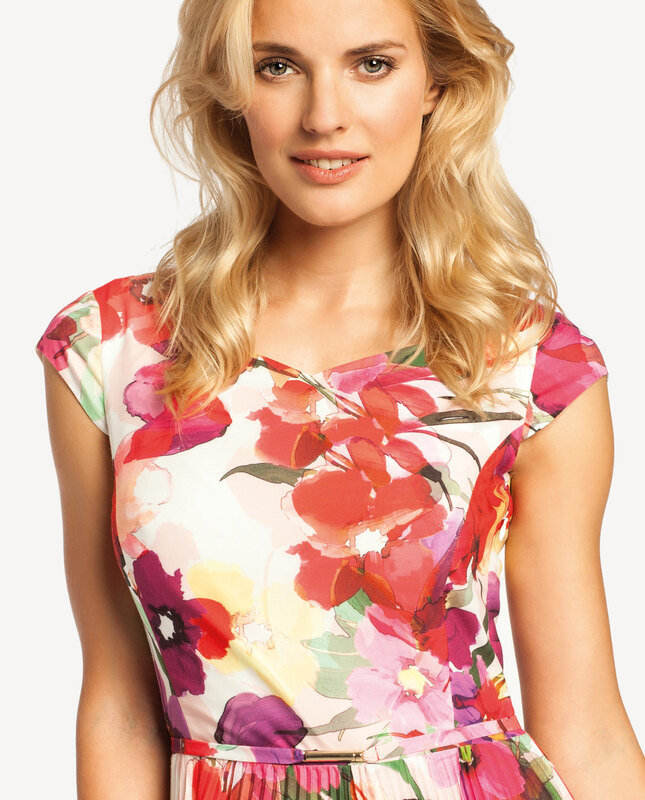 Dashing airy dress featuring floral prints. 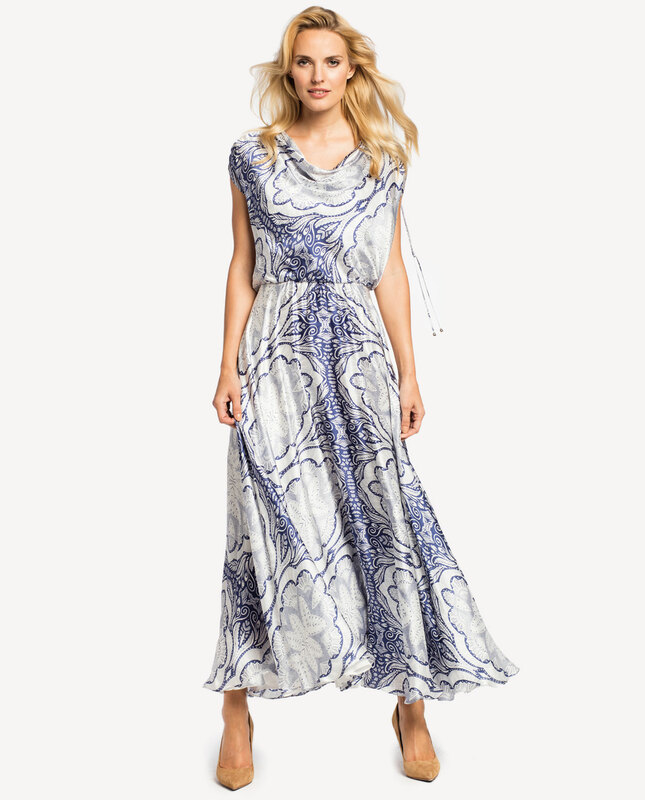 This genuinely feminine maxi style will prove sensuous and classic. 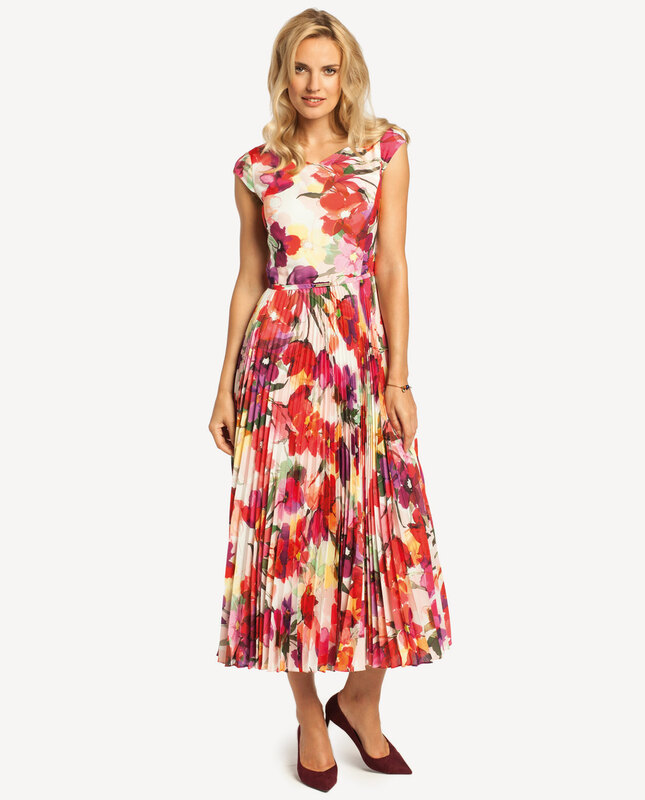 Versatile, the dress will be perfect for a number of events. For an evening out, pair it with subtle mid-heel pumps which will help to elongate your frame. 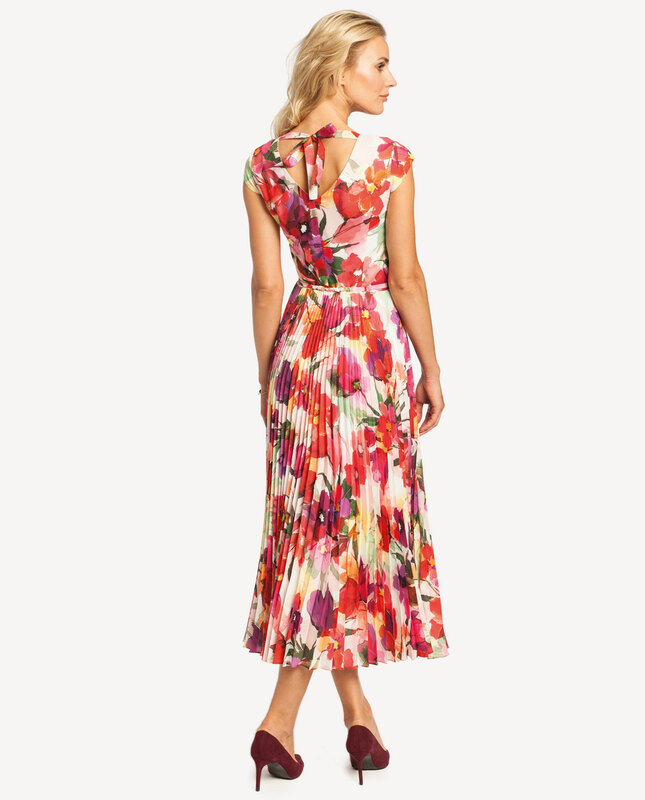 A lovely V-neckline will draw attention to your sun-kissed skin, while a belt at the back will flatter your nape. Pleated bottom looks wonderful when set in motion. A maxi dress is an absolute must-have in your wardrobe. Fastened with a concealed zip in the side. Lined and comfortable to wear.